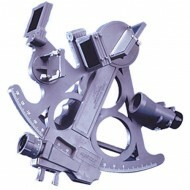 The Davis Mark 3 Marine Sextant - ideal as a backup or for educational purposes The result of years of practical experience in the manufacture of precision instruments, this plastic sextant has been used as the sole means of navigating both the Atlantic and Pacific oceans. Enabling the yachtsman to .. The Davis Master Sextant Deluxe - Mark 25 Full-field Beam Converger with quartz hardcoat replaces conventional halfsilvered mirror. Horizon and astrobody images are combined in a single fullfield for easy, reliable sights under the most difficult conditions. 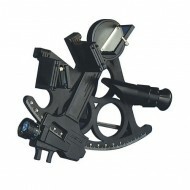 Mark 25 Sextant Features Special mine.. The Davis Master Sextant - Mark 15 Large, easily adjusted mirrors using new instrument-quality glass and a special baked on salt-spray resistant backing. 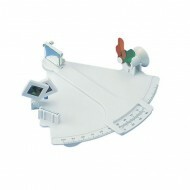 Mark 15 Sextant Features Both mirrors have protective housings. 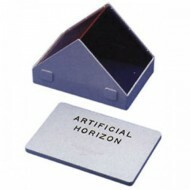 Horizon mirror is half-silvered. No adjustment wrenches required. Molded of ..